Who can resist the lure of Downton Abbey and the triumphs and travails of the Crawley family and its servants? We admire Bates's sense of honor, envy Carson's steadfastness, and thrill to Violet's caustic wit. 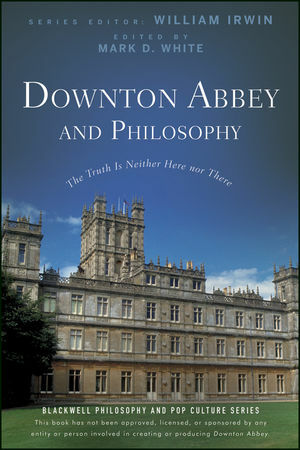 Downton Abbey and Philosophy draws on some of history's most profound philosophical minds to delve deeply into the dilemmas that confront our favorite characters. Was Matthew right to push Mary away after his injury in the war? Would Lord Grantham have been justified in blocking Lady Sybil's marriage to Tom Branson? And is Thomas really such a bad person? Addresses many of your most pressing questions about Downton Abbey's story and characters, such as: Should Daisy have lied to William about her feelings toward himespecially to the point of marrying him? Should Mr. Bates have been upfront with Anna from the beginning about his past? Philosophical speculation awaits on every page of this essential Downton Abbey companion. So take a seat in your personal library, have the butler pour a cup of tea, and start reading! William Irwin (Wilkes-Barre, PA) is a professor of philosophy at King's College. He originated the philosophy and popular culture genre of books as coeditor of the bestselling Simpsons and Philosophy. Mark D. White (Staten Island, NY) is a professor in the Department of Political Science, Economics, and Philosophy at the College of Staten Island/CUNY, co-editor of Batman and Philosophy and Green Lantern and Philosophy, and editor of Watchmen and Philosophy, Iron Man and Philosophy and The Avengers and Philosophy.